Portland is filled with plenty to do, but you still might find yourself wanting to get out and explore beyond Oregon’s largest city. And you should. Perched right near the Washington-Oregon border, Portland has a prime location as a launchpad for Northwest day trips. All within a few hours, you can reach the beach, the mountains, and other Northwest cities. Here are some of the best options. The Oregon coast is one of the finest vacation destinations in the Northwest and it’s easy to get to from Portland for a day trip. Highway 26 takes you directly out of Portland to Cannon Beach and Seaside, which are located about seven miles apart from each other on the coast. Visit Cannon Beach to admire towering Haystack Rock, a 235-foot-high rock formation just off the coast that’s surrounded by smaller rocks jutting out of the water. When the tide goes out, peep into tide pools, but don’t try to climb on the rocks. The town of Cannon Beach is filled with galleries and shops and restaurants to wander. If you’ve got kids, Seaside might be the better town as it’s known for its aquarium, carousel, arcades and watercraft rentals. For adults, there are also shops to explore, restaurants and breweries, and a long, paved boardwalk along the beach. Just north of Cannon Beach and Seaside is another waterfront town that makes a great complement to the busy city of Portland. Astoria shows another side to Oregon — one that’s historical, quaint and picturesque. Victorian homes dot the city and there are several cool attractions to visit, including the Astoria Column that you can climb (if you like steps) to get a view of the area and the Columbia River below. Wander the town and duck into the Columbia River Maritime Museum to learn a bit about the city’s past. The house that starred in "The Goonies" is also located in town and many have come to see this home, but be aware that it’s a private residence and the owner does not welcome visitors. With a 30-minute drive from Portland, you can reach Multnomah Falls — a towering, 611-foot-tall waterfall. The easiest way to get there is by taking I-84 out of Portland. To round out the day trip, visit Multnomah Falls Lodge and enjoy lunch there as well as additional views of the falls. There’s also an information center at the lodge where you can get trail maps, and a little hike makes a fine pairing with visiting this outdoorsy locale. At 11,249 feet, Mt. Hood towers above the landscape just an hour outside of Portland. There are many ways to visit the mountain that can fit easily into a day. In the winter, a total of six ski areas welcome snow lovers. In the summer, fall and spring, hiking is the perfect way to explore the mountain as there are trails for all kinds of abilities. Trails abound on the base on the mountain and in Mt. Hood National Forest. Search out one that best suits your ability and bust the hiking boots out of the closet! About an hour south of Portland is the Willamette Valley — a wine region, one of the top pinot noir producing regions in the world, and an all-around lovely place to spend a day. Towns in the valley include Corvallis, Albany, and Eugene, but life is best if you get a little outside of the towns and spend some time in the countryside. Visit a farm or winery. Bring your bike along (or rent one) and travel the Willamette Valley Scenic Bikeway. Check out some covered bridges. Or spend time in one of the towns and take yourself on a culinary tour… or at least out to a nice dinner. Seattle lies about three hours north of Portland. Since you’ll spend a fair amount of time driving (and — be warned — traffic can extend that amount of time significantly if you’re not careful to avoid rush hour), this day trip requires an early start, but it’s entirely possible to hit up both of the Northwest’s largest cities in one go. You can even hop onto the Bolt Bus or Amtrak if you don’t want to deal with traffic. Once you’re in Seattle, it’s best to stick to the downtown core just for the sake of time. Start at Seattle Center. Skip going to the top of the Space Needle if you want to save on line time — explore the Pacific Science Center or MoPop instead. 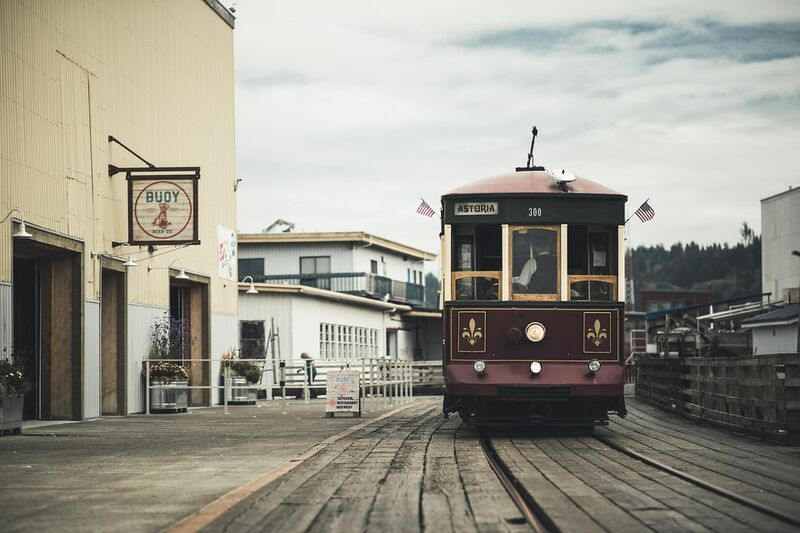 Hop onto the Monorail and take that into the downtown where you can easily walk to Pike Place Market, shop, dine at any number of restaurants both cheap and upscale, go to the Seattle Art Museum, or walk along the waterfront. If Seattle is too far afoot, Washington State’s third largest city is about an hour closer and much more approachable to get around — as in, much easier to fit into a day trip if you want a more leisurely schedule. Unlike Seattle, Tacoma is not filled end to end with things to do. Instead, go straight downtown and spend some time at Tacoma’s museums, which are all located close to each other. Tacoma Art Museum and Museum of Glass are perfect for artsy explorers. Washington State History Museum is ideal for families or history buffs. LeMay – America’s Car Museum is one of the largest car museums in the country. Mt. St. Helens is one of the Northwest’s most unique mountains as it erupted in recent history and visitors can still see the signs of destruction. Charred trees lead the way and offer a peep into just how destructive the 1980 eruption really was. A massive crater is left where the peak of the mountain used to be. The drive includes a few small visitor centers along the way where you can get progressively closer-up views and tidbits of information and history about the mountain. But the crowning jewel of visiting is a stop at the Johnston Ridge Observatory where you’ll be rewarded with sweeping, wide open views of the volcano as well as some trails to walk. You can also watch a film about the eruption at the observatory.